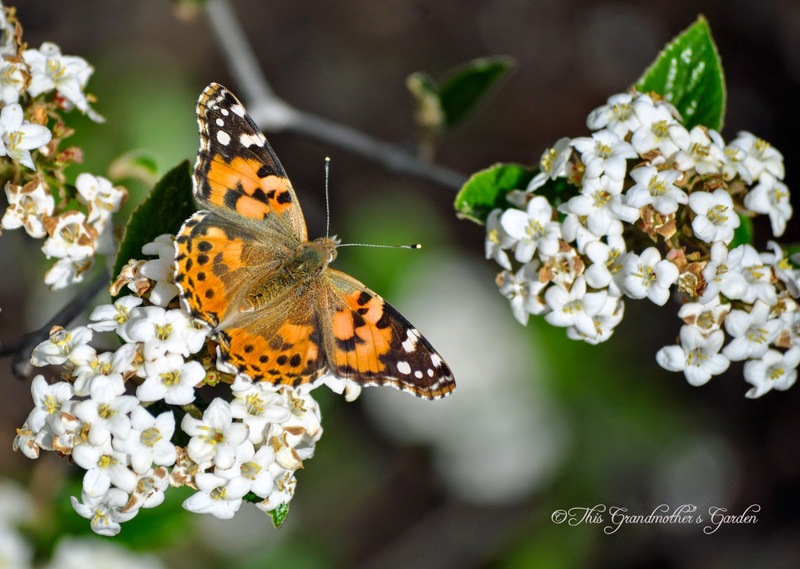 The Painted Ladies are dancin' in my Utah gardens! they're on the lookout for pretty flowers. And our gardens actually have a few. 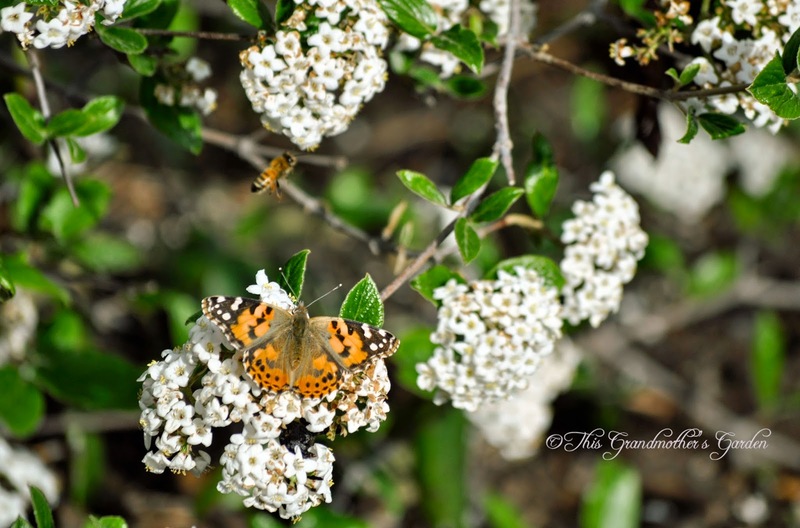 pollinating the orchards as they dance. as they pause to bask in the warmth of the sun. What busy lives they lead. Thanks for the info, Brooke. My life is filled to the brim right now. So little time for blogging, I'm missing visiting everyone. I may pop in on occasion. Know that I'm thinking about you! 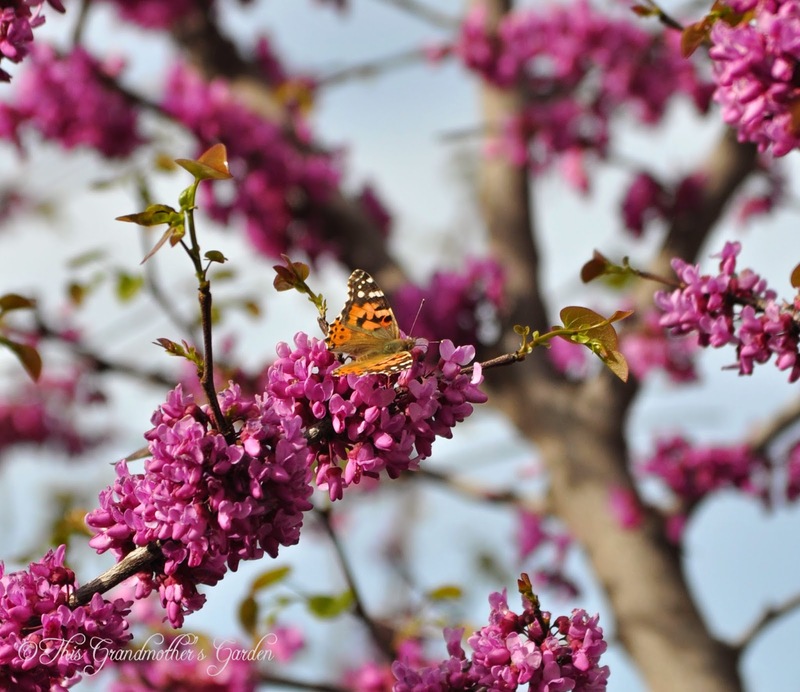 A sure sign of spring for you! They are busy, aren't they? I'm fascinated by how quickly they move about and in such a seemingly haphazard way; but they make it to where they're going! I share your thoughts, Cat. It's amazing they don't get dizzy! Warmth will come, Donna. But then like here, it will come and go. Fresh Snow on my Mountain today... and cold. The promise of warm again at the end of the week. Hope the Painted Ladies survive. Not so long ago your world was white and now it is so colourful. I always enjoy visiting - you have wonderful way of weaving the words through your photos. Thank you... love that you enjoy visiting! Nice butterflies, they have very busy life, you're right Carolyn! I love your blooming garden, are these viburnum flowers? Yes they are... wish they bloomed all summer long. All that and no worries whatsoever about crossing the border illegally! Beautiful images, Carolyn. You make me smile with your border comment... My daughter is jumping through hoops right now to get her visa. FBI just granted clearance. Visa should come by end of July. Gorgeous! I've only seen mourning cloaks so far, but I think I saw a Viceroy out of the corner of my eye yesterday. It's always a special moment when viewing butterflies. 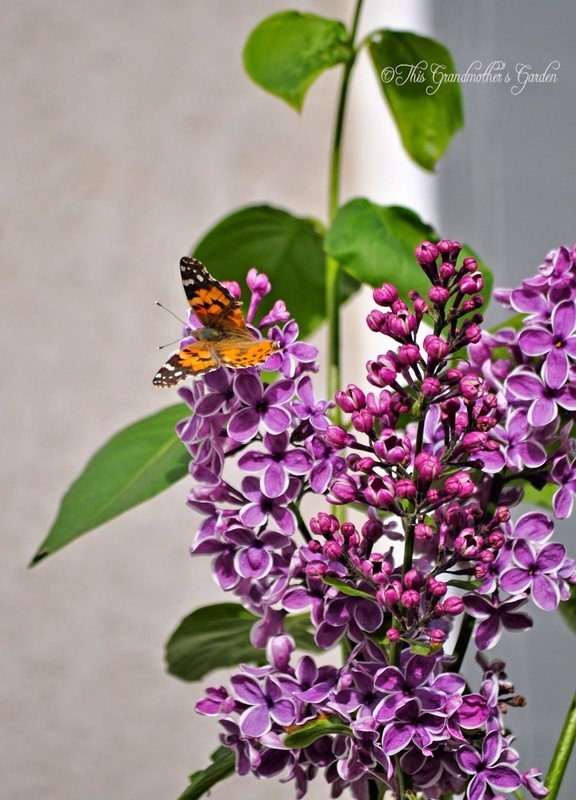 Your painted ladies look especially lovely on Lilac and Redbud blooms! Great photos! 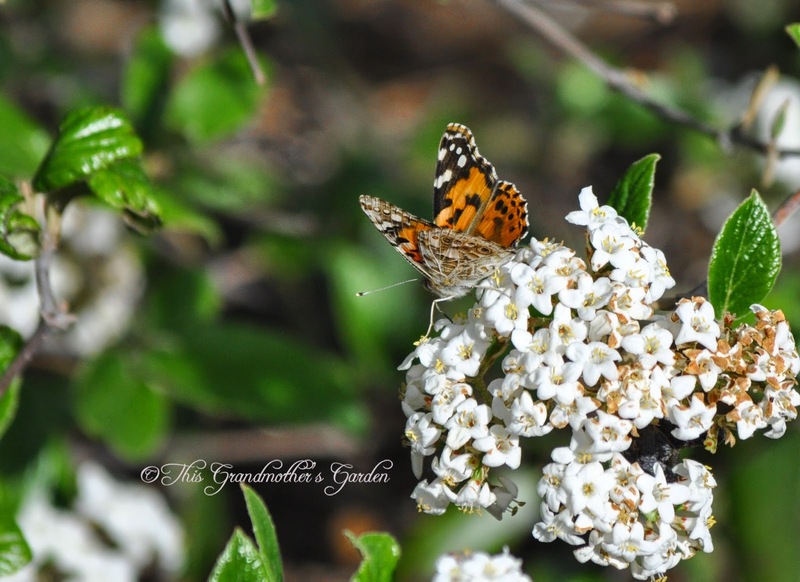 I feel the same about the butterflies gracing our gardens... a blessing! It's such a joyful time of year. Each leaf seems to vibrate with the excitement of new life and the promise of the summer to come. Your painted lady dancers are beautiful! Your words are beautifully descriptive... isn't Spring wonderful?! So pretty! 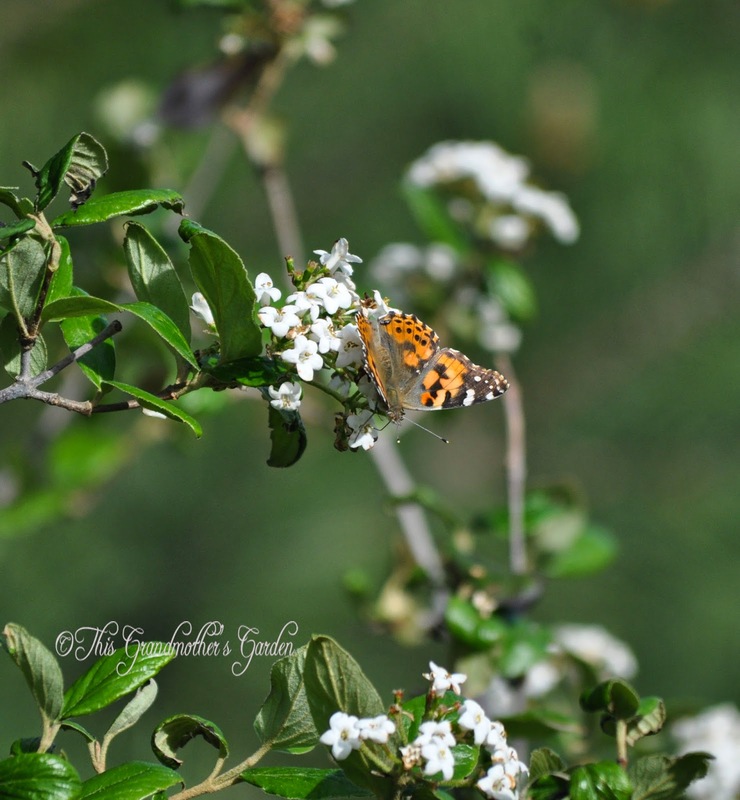 I love when it is warm enough to start seeing all the butterflies! I have just seen a few early ones up here. It's been fun to see so many at once . We usually don't get such a splash. C'est vrai qu'ils doivent être bien heureux parmi vos jolies fleurs. De très belles photos comme toujours.